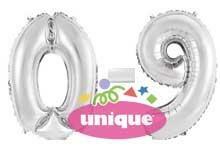 TRADE ONLY air fill foil balloons that instantly delight! Crosswear Trading currently has fantastic stock availability on air fill foil balloons – good quality products from trusted suppliers, available at competitive prices. The range is wonderfully varied, with something for every occasion. 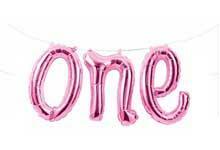 'Happy Birthday', 'Congratulations', 'Bride', 'Baby', 'Party', 'Love', 'Yay'... air fill foil balloons saying all this and more can be purchased in small quantities or bulk orders from us, depending upon your shop's needs. Keeping in stock a diverse selection of air fill foil balloons in great colours and designs is advisable of course: to meet your customers’ needs all-year-round. 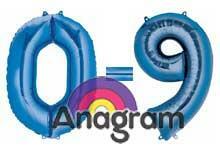 What makes these balloons particularly popular as decorations is their versatility. Use them as table centre-pieces, for themed events, for age milestone parties, when preparing a venue for a Hen Night, attach them to balloon sticks that kids can enjoy waving around and having heaps of fun with... Wow, there's so many ways to use air fill foil balloons, which can play a key part in creating the right atmosphere, in getting the party started. Which air fill foil balloons are you specifically looking for? 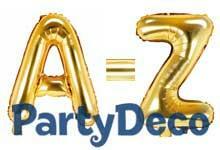 Perhaps you specialise in providing decorations and partyware to fun corporate events or wedding celebrations? 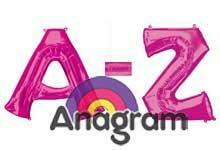 Or maybe you own an online store selling party bits and bobs for kids' birthdays? If you run a retail business and are looking to branch out - extending your offerings to include toys, gifts and party pieces - air fill foil balloons are a must-include in your stock. 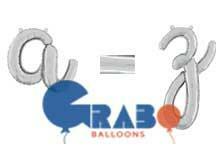 The good news is that you can find all the balloons you need right here at the Crosswear Trading website. 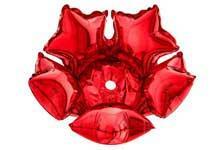 Why not offer air fill foil balloons in party bags with a balloon stick and straw? Or you could sell them in batches of ten (or more), for event organisers to give way to delighted guests upon their arrival at a celebration, where everyone is sure to have a fabulous time. We’re constantly adding to and improving our stock, making it essential that you check into our website regularly. And don't forget: we offer a next working day delivery service to customers in the UK, with an export option also being available. 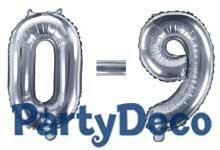 Don't let other partyware companies gain a competitive edge by staying ahead of the game and stocking up on all the latest air fill foil balloon designs. Get there first. Start the process right now by creating a Trade Account!